I looooove clear stampers. When they became a "thing" a while ago I was over the moon because I was terrible at lining up my images with a regular stamper. 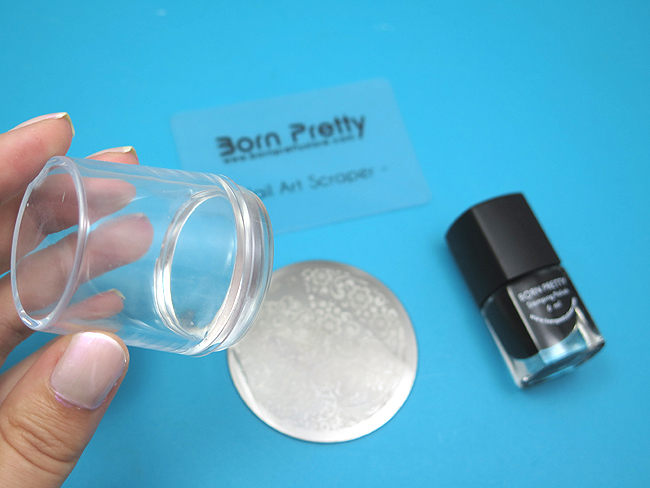 I now own not one but two clear stampers from Born Pretty Store, and I'm here to share one with you today along with a quick stamping tutorial! Anyway! BPS has this listed as a marshmallow stamper but while I would say it's definitely squishy I wouldn't go as far as saying it's a marshmallow stamper. To me marshmallow stampers are a lot softer and squishier than this. 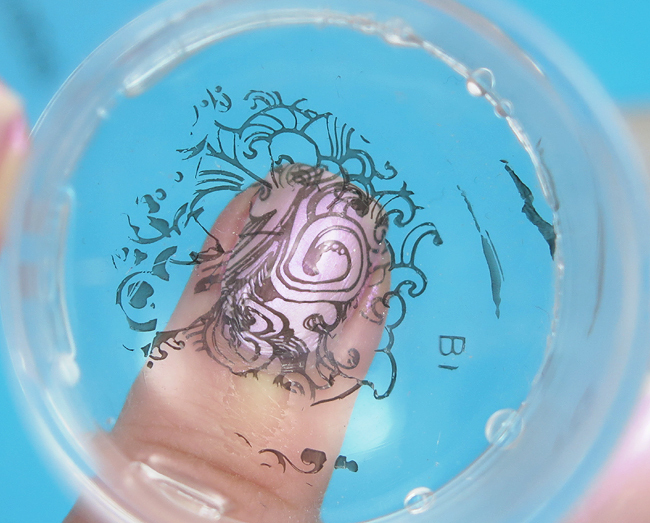 That being said this is still a fabulous stamper and is definitely nicer to use than my old BPS clear stamper (which was just hollow with an open end to let you see through). This stamper comes with three parts: The actual stamper, a cover that clips on over the stamping head to keep it clean, and a clear scraper. Now let's take a look at a quick tutorial about how to use it! Preparation: First off you want to make sure you have all your products gathered, as stamping is a time-sensitive process. As well paint your base coat and let it dry completely before you start so you don't have any issues. 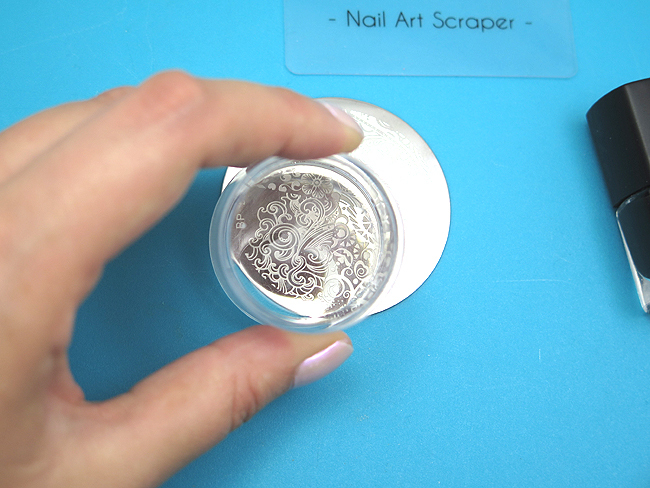 I have my clear stamper and scraper (available here), my stamping polish (Born Pretty Stamping Polish in Black), my plate (BP-28) and a cleanable backdrop (I am using a non-stick cutting board but I use paper towel sometimes under my stamping plate instead). If you're using a new stamper make sure you prep the head first. Do not use a file on a clear stamper or you will ruin it. Instead gently wash it with dish soap. This one did need to be prepped so I cleaned it with a bit of soap before I started. 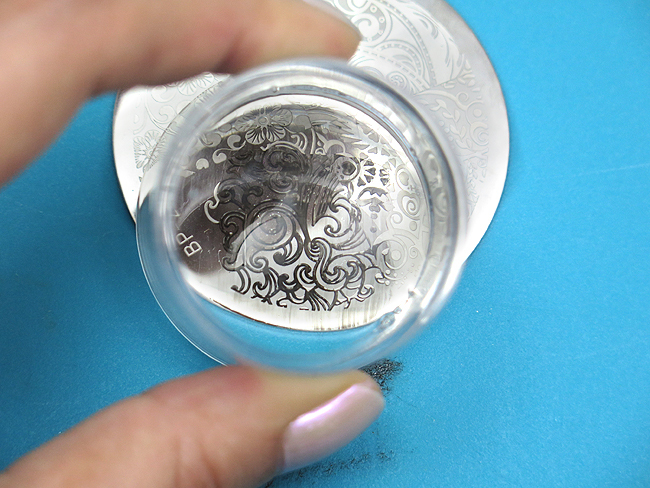 As you can see the clear stamper lets you see your design through the back perfectly! Awesome! Step 1: Apply your polish to the plate. You don't need to cover the whole image as you'll scrape the polish along the rest in the next step. Step 2: Scrape your polish off the plate moving firmly with your scraper tilted at an angle.If you have to scrape over a few times go for it, just make sure you don't scrape all the polish out of your etching. Step 3: Firmly press your stamper over the image you want to pick up. I found for this stamper I could press straight down to pick up the image - firmer stampers you need to roll your stamper to pick up the image. Step 4: Take a look to make sure your entire image picked up cleanly. Don't look too long though or the polish will dry! 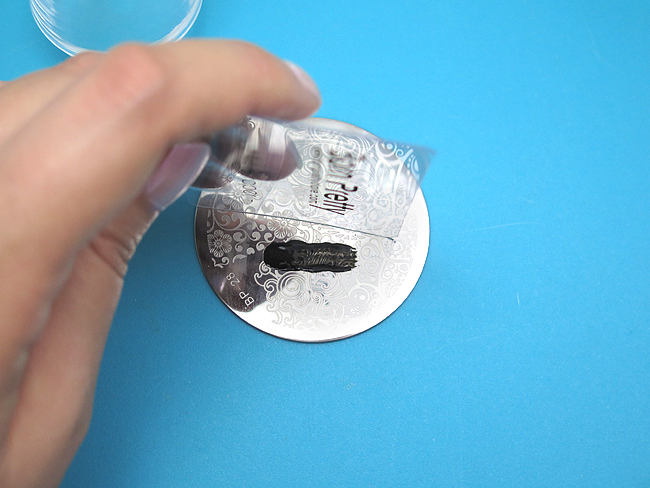 Step 5: Look at where you want to place the image on your nail and press firmly so the stamper covers the entire nail. And that's it! Clean up (or use some liquid latex from the start to make clean up even easier) and you're good to go! Also you'll want to make sure you are cleaning your stamping head between nails... 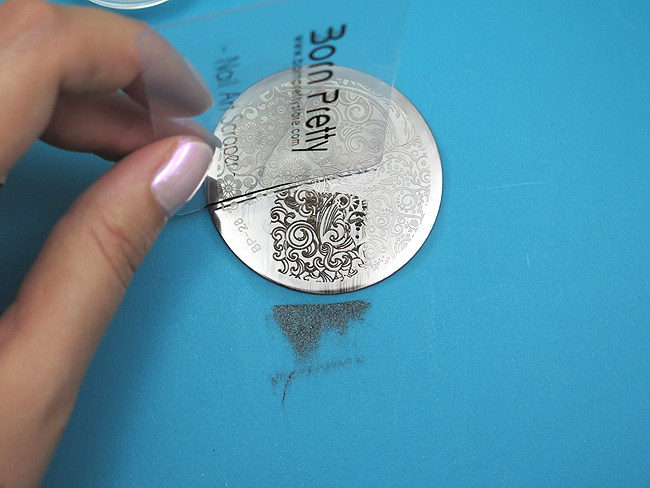 I use a piece of tape on the stamper head (or you can use rubbing alcohol - never use acetone on a clear stamping head or you will ruin it) and I use pure acetone to clean my plate and scraper. If you want to pick up this stamper and scraper combo for yourself you can get it right now for $3.59. And remember to use my discount code for 10% off: ASZW10. 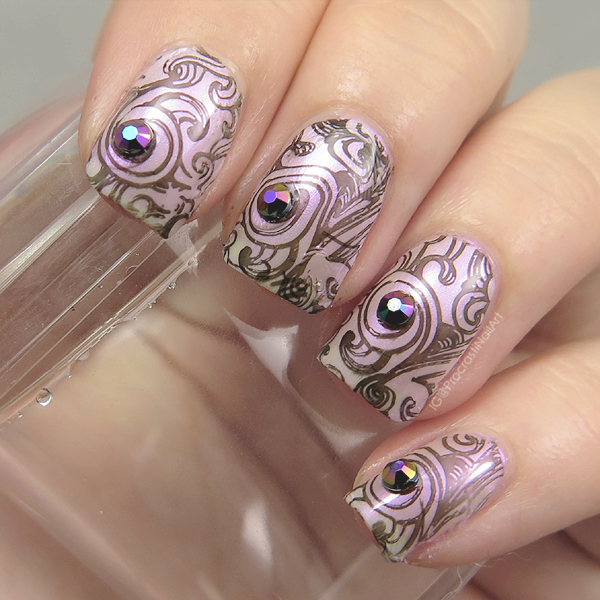 Which clear stamper is your favourite? Have you tried this one before? Let me know! 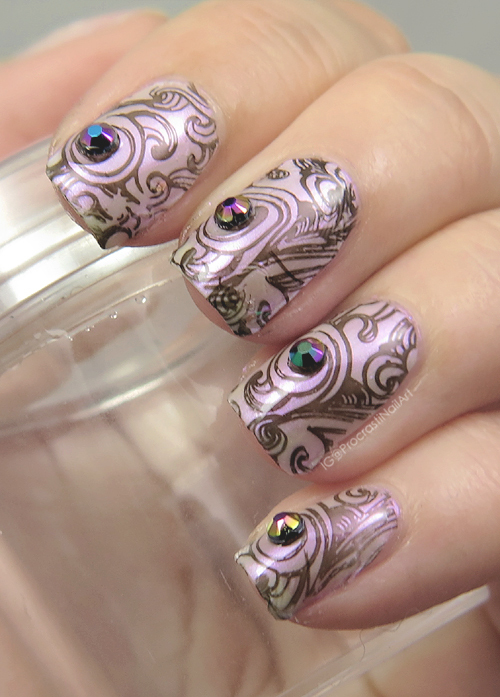 Great review and tutorial on this clear squishy stamper. I really like mine that I got from BPS too. 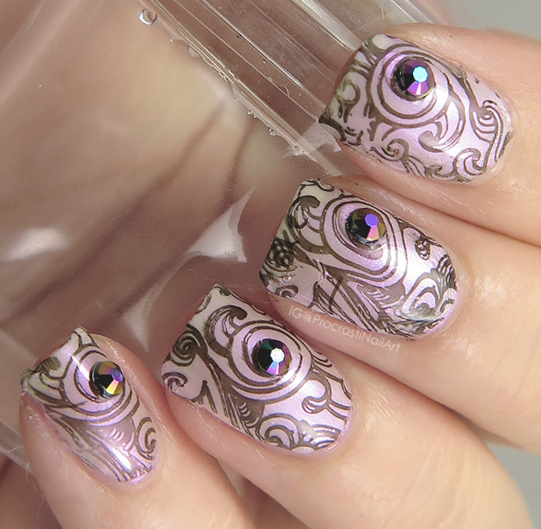 I only have 1 clear stamper but it's in a purple holder so when you go to stamp it on your nail, it blocks out the light so you can't see well anyway. I need this transparent holder style! I have that one, too! :) I much prefer this one! You should definitely pick one up! I love enabling other people lol! I have this one too, I find it is great with their polishes but fussy about picking up anything with shimmer (including the gold BP polish) and stops picking up after a while and needs to be cleaned more regularly than my others. Love the size of it though and how clear the sides are. Question from a total newbie to stamping: why do you need to prep your stamper? And will just soap and water do the trick? I have a clear stamping set but had no idea you're supposed to wash it first! Oops! Sometimes you don't have to prep a new stamper, but if you try it and it won't pick up the image at all you should to see if it helps. :) For clear stampers use soap and water and for regular (non marshmallow) stampers you can lightly buff it or use a Mr Clean Magic Eraser (lol). YAY for clear stampers! I love the final mani, it's awesome! 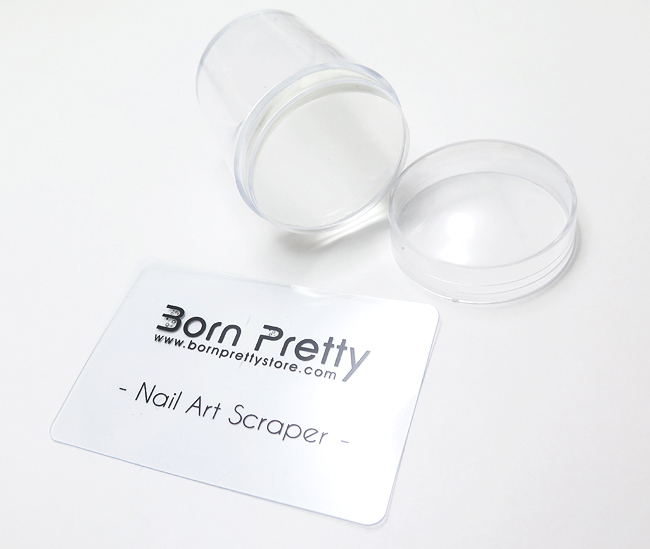 Clear stampers are a game changer and a must have in any nail addicts stamping collection. They come is handy when double stamping. I have both and I actually prefer the other one! Would you believe that? I think each of us is so used to a certain stamper that the others just won't really work as we wished. 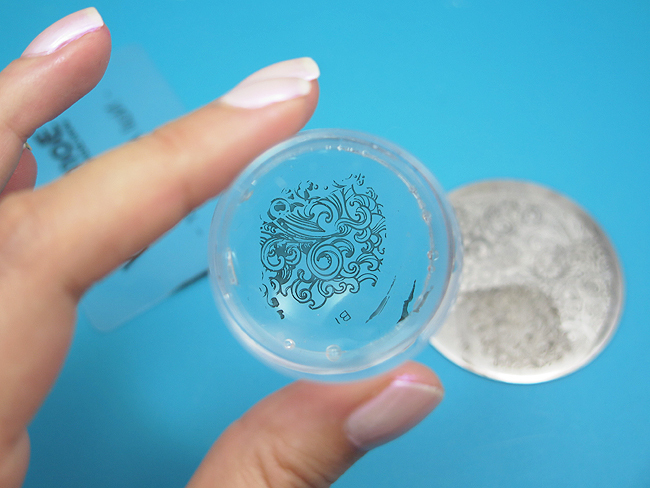 I just bought a clear stamper, but mine isn't squishy enough and I'm worried it won't pick up images well enough...might need to pick this one up as well! The mani is beautiful! I love the addition of those rhinestones. I love the gems on your final look! This was a great tutorial. I found out about the trick of washing with dish soap some time ago and it was a total game-changer for me for stampers that I THOUGHT were fussy. They just needed a good wash! I need more practice with the stamping!